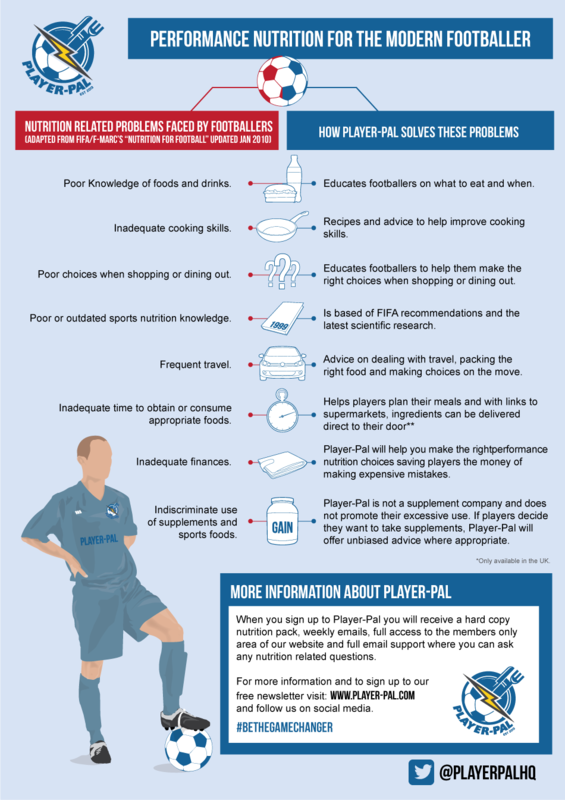 Player-Pal is a nutrition advice service for football players. We have found, from speaking to managers, coaches and players, that there is a real lack of knowledge in the game when it comes to knowing what to eat and when. Football can easily become an excuse culture. Stop finding excuses not to get your nutrition right by signing up to Player-Pal! Nutrition in football has become a misunderstood and often neglected area. Player-Pal separates fact from fiction and coaches you, the player, to become the best you can be through performance nutrition. As a football player, you have such a short period of time to make the most of your career, don’t leave something as important as nutrition to chance! We specialise in nutritional coaching for footballers, helping them perform at their best.